and start closer to home. The University of the Fraser Valley is a Canadian public university offering programs in Chandigarh, India at GGD SD College. 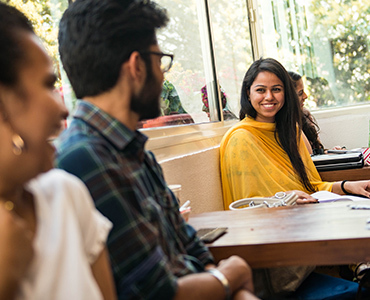 Seamlessly transfer to UFV in British Columbia, Canada after one, two, or three years or complete your education in India. Earn a globally recognized Canadian credential taught by an eclectic mix of Canadian and international faculty. 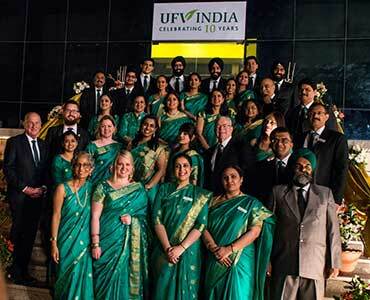 Seamlessly transfer to UFV’s campus in Canada after one, two, or three years or complete all four years in India. earning your 16th year of education at Fraser Valley India. completing part of your education in Chandigarh. Seamlessly transfer to our Canadian campus after one, two, or three years. Alternatively, complete your entire program in India. Graduate from UFV with a Canadian degree and be eligible to apply for a Canadian work permit. Take advantage of experiential learning opportunities that enhance your education. Gain real-world skills and develop life-long friendships through UFV Student Life and student clubs. Hang out at the student lounge equipped with a pool table, foosball and more. Get behind the scenes access at leading companies and build industry connections in order to prepare for your career. Company tours are organized regularly. Choose from nearly 80 destinations and study abroad with UFV’s partner institutions across the globe. Pay UFV tuition and earn UFV credits towards your Canadian degree. Your courses are taught by Indian and Canadian faculty. Ease into an applied education and build cultural skills. An on-site professional clinical counsellor is available by appointment to assist you with personal challenges, career and life planning, and study skills. Collaborate with your peers in a business simulation. You create, manage, and run your company with mentorship and support from a wide range of industry professionals. Over four years, when compared to studying directly in Canada*. Experiential learning helps you gain practical skills that employers want. You can apply for internship opportunities in India and Canada. There is a big difference between memorizing textbooks while cramming for exams and understanding knowledge so that you can apply it to real-life situations. As a UFV student, you apply your knowledge to company case studies as early as your first semester. Your parents will be amazed by how quickly your confidence and professionalism develops. Your neighbors will be talking when they see you head off to class in a suit on presentation days. Every day, you’ll look in the mirror with just a little more pride, knowing that what you learn today is preparing you for a lifetime of success. As an international student studying at UFV, you may be eligible to work in Canada while you study and after you graduate as per Canadian work permit rules. *The actual amount saved will depend on your specific program plan and program selection. International fees apply once you transfer to Canada. View full fee structure.